Is Windows ReadyBoost Worth Using? 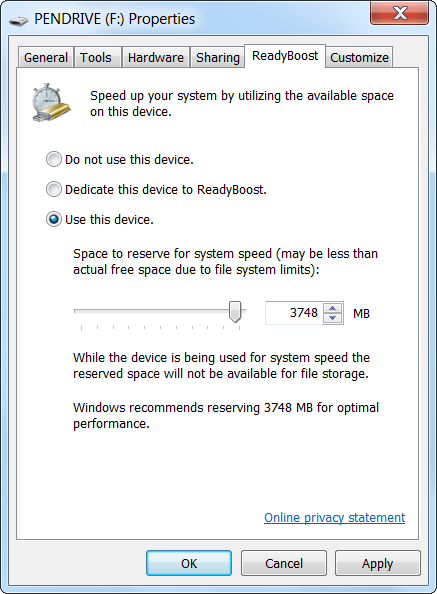 Connect a USB stick to a Windows computer – even on Windows 8 – and Windows will ask if you want to speed up your system using ReadyBoost. But what exactly is ReadyBoost, and will it actually speed up your computer? ReadyBoost was introduced in Windows Vista, where it was a heavily promoted feature. Unfortunately, ReadyBoost isn’t a silver bullet that will make your computer faster, although it may be useful in some limited circumstances. ReadyBoost works in conjunction with SuperFetch. SuperFetch, also introduced in Windows Vista, monitors the programs you use on your computer and automatically loads their application files and libraries into your computer’s memory (RAM) ahead of time. When you launch the application, it will start faster — your computer reads its files from memory, which is faster, instead of from disk, which is slower. Empty RAM doesn’t do any good, so using it as a cache for frequently accessed applications can increase your computer’s responsiveness. SuperFetch normally uses your computer’s memory – it caches these files in your RAM. However, SuperFetch can also work with a USB stick – that’s ReadyBoost in action. When you connect a USB drive to your computer and enable ReadyBoost, Windows will store SuperFetch data on your USB drive, freeing up system memory. It’s faster to read various small files from your USB stick than it is to read them from your hard drive, so this can theoretically improve your system’s performance. So far, so good – but there’s a catch: USB storage is slower than RAM. It’s better to store SuperFetch data in your computer’s RAM than on a USB stick. Therefore, ReadyBoost only helps if your computer doesn’t have enough RAM. If you have more than enough RAM, ReadyBoost won’t really help. ReadyBoost is ideal for computers with a small amount of RAM. When Windows Vista was released, Anandtech benchmarked ReadyBoost, and the results of their benchmark were informative. In combination with 512 MB of RAM (a very small amount of RAM – new computers today generally contain several gigabytes), ReadyBoost offered some improved performance. However, adding additional RAM always improved performance much more than using ReadyBoost. if your computer is stressed for RAM, you’re better off adding more RAM instead of using ReadyBoost. With that said, ReadyBoost may still be useful if your current computer has a small amount of RAM (512 MB, or perhaps even 1 GB) and you don’t want to add additional RAM for some reason – perhaps you just have a spare USB stick lying around. If you opt to use ReadyBoost, bear in mind that the speed of your USB drive also determines how much improved performance you’ll get. If you have an old, slow USB stick, you may not see a noticeable increase in performance, even with a small amount of RAM. Windows won’t allow ReadyBoost to be used on particularly slow USB flash drives, but some drives are faster than others. In summary, ReadyBoost probably won’t improve your computer’s performance much. 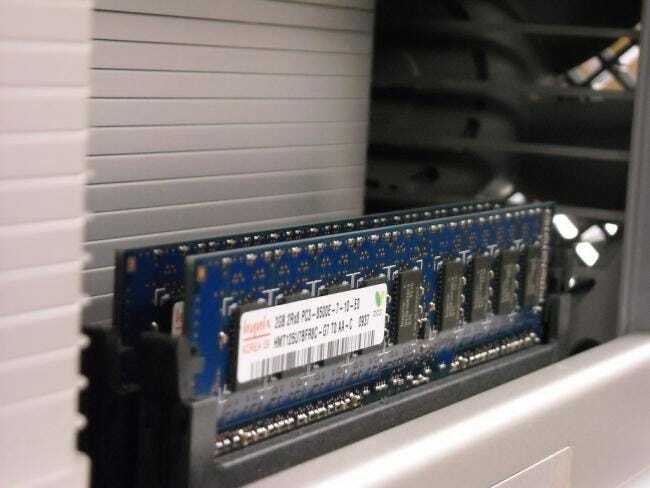 If you have a very small amount of RAM (512 MB or so) and a very fast USB drive, you may see some increase in performance – but it isn’t even guaranteed in this situation.